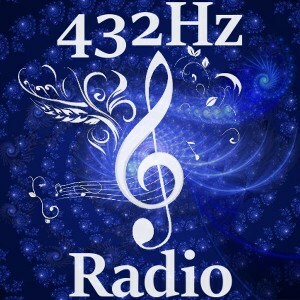 www.432hzradio.fr.nf * 432Hz Radio : In quest of harmony and open-minded * Eclecticism and Balance of the sound, in the research for "positive" musics... The place is left for all styles to coexist and encourage them to aim at the harmony : " Just like the human beings consisted of their differences "
who has seen my wreath? (Pass the ads : Get back 2min later or Refresh stream you will have music just after ads)* 432Hz Radio have no choice for the Targetspot ads. "But Enjoy It, That's Make 432Hz Radio 100% FREE, for YOU" !!! **Sorry if you listen to adverts ! (Pass the ads : Get back 2min later or Refresh stream you will have music just after ads)**Sorry if you listen to adverts ! 432Hz Radio have no choice for the Targetspot ads. "But Enjoy It, That's Make 432Hz Radio 100% FREE, for YOU" !! (Pass the ads : Get back 2min later or Refresh stream you will have music just after ads)* Sorry if you listen to adverts ! 432Hz Radio have no choice for the Targetspot ads. "But Enjoy It, That's Make 432Hz Radio 100% FREE, for YOU" !!! (Pass the ads : Get back 2min later or Refresh stream you will have music just after ads)**432Hz Radio have no choice for the Targetspot ads. "But Enjoy It, That's Make 432Hz Radio 100% FREE, for YOU" !!! **Sorry if you listen to adverts !